Brothers Chris and Matt Ruddick are fourth generation pear farmers in northern California’s Mendocino County. The two brothers own and manage Ruddick Ranch, a 265 acre operation, located along Howell Creek and the Russian River. 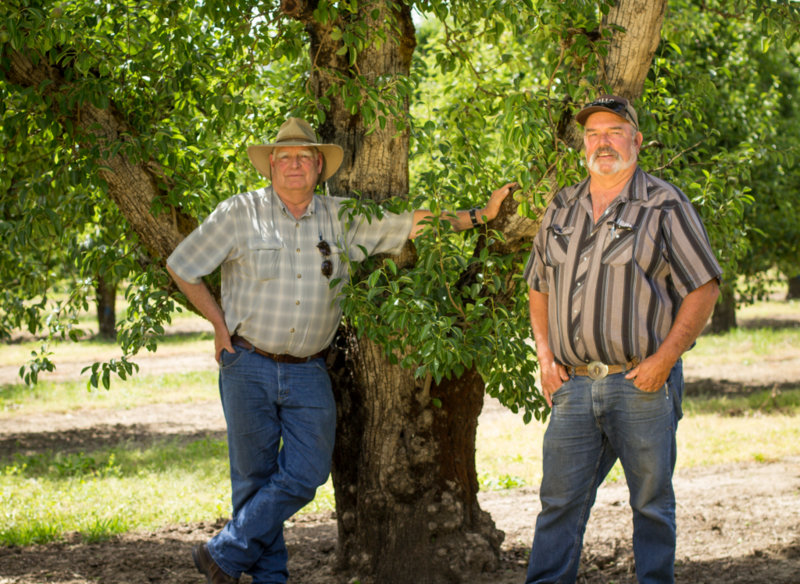 Some pear trees on the land are 140 years old – their age symbolic of the deeply rooted history of the Ruddick brothers’ ranch. Struck with gold fever, in 1857 Chris and Matt’s great grandfather left his home in Indiana to fulfill dreams of moving out West. He caught a steamer to Panama, crossed the isthmus and took a ship to San Francisco. 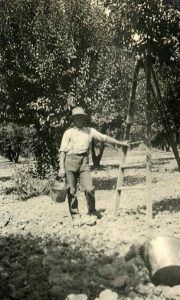 Once in California, he worked at the Wheeler mine for two years and saved enough money to purchase 100 acres of land in Ukiah, California where he began farming pears, plums and hops. He married a German immigrant in 1875, and together they raised 11 children. 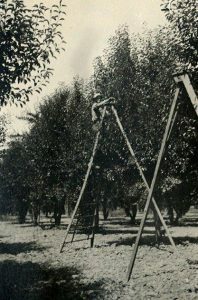 Above photos taken on the Ruddick Ranch in 1912. 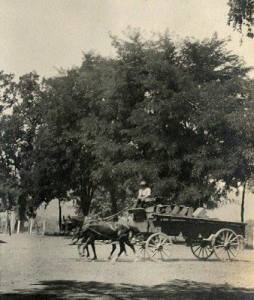 They still have the wagon (middle photo) today. The farm remained in family hands over the next generation. Chris and Matt’s parents continued this farming tradition, maintaining their involvement into the mid 1990s. Both brothers knew growing up they wanted to be a part of the family business. They recall early days filled with hard work and a lot of fun. Matt says he loves being outdoors and interacting with people, and although it is hectic, harvest is his favorite time of year. Chris started managing the family farm in 1976, and the two brothers purchased the entire ranch from their family three years later. Due to the implementation of environmentally friendly farming practices and non-chemical pest management systems, Ruddick Ranch has been given Fish Friendly Farming certification. Chris says, “Using techniques that are healthier for the environment benefit everyone.” The brothers believe the ability to adapt and to utilize sustainable agriculture has strongly contributed to the success of their business and all pear farms still thriving in California today.